Exclusive to H. Samuel, this undeniably elegant black leather strap watch is crafted with Swiss watchmaking expertise by Rotary. Styled with a fresh white multi function dial with silver tone sub dials and rose tone accents, along with date window between the 4 and 5 o'clock positions. 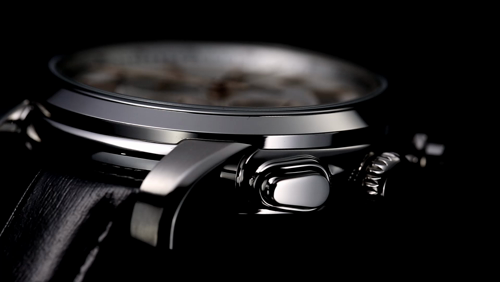 Finished with a rich stainless steel case. 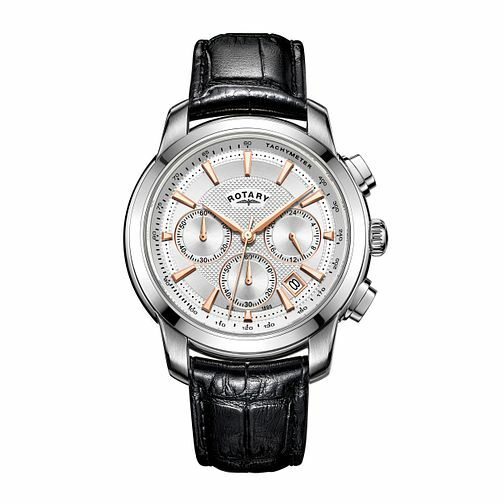 Rotary Men's Leather Strap Watch is rated 4.7 out of 5 by 6. Rated 5 out of 5 by Anonymous from Love this watch Beautiful watch. The face is bigger than it’s portrayed in picture but I prefer this for a mans watch. The two tone really stands it apart from any of the others online. Would highly recommend. Rated 5 out of 5 by Anonymous from Great Watch This is a very classy looking watch, well made and with 50% the RRP - very good value. Bought for my husband as a Christmas gift.